The 6th arrondissement of Lyon, home of France’s largest urban park in Parc de la Tête d’Or. 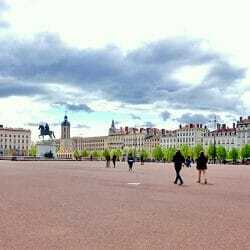 The 6th district of Lyon plays the role of the city’s bourgeois residential area, with large apartments and mansions located between the famous Parc de la Tête d’Or, the Cité Internationale and the old Brotteaux train station. 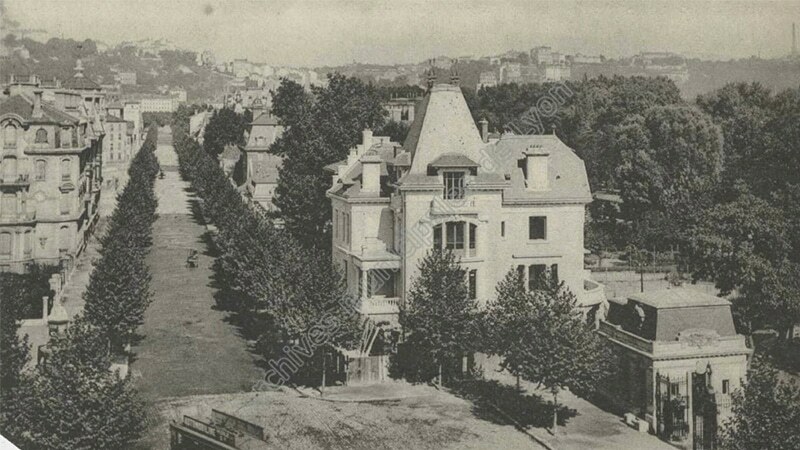 The 6th arrondissement was created on July 17th, 1867, as a separation from the 3rd arrondissement previously created in 1852. It is widely regarded today as the most swanky and bourgeois neighborhood of Lyon. The main attraction is the Parc de la Tête d’Or, which was added to the neighborhood in 1895. The inception of the arrondissement was led by the city’s urban extension to the east across the Rhône river, during the 18th century, which can be noticed thanks to wide avenues and large buildings. The 6th district, which mainly serves as a residential area, is populated by 50,000 residents in 2015 over the 377 hectares of the arrondissement. Where is the 6th district in Lyon? 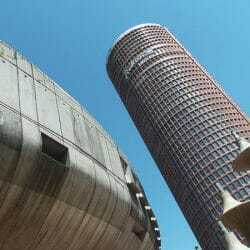 The 6th arrondissement is situated on the east side of the city of Lyon, across the Rhône from the Presqu’île. It faces the 1st and 4th districts on the other side of the river and is bordered by the 3rd district to the south, as well as the popular suburban cities of Villeurbanne to west and Caluire-et-Cuire to the north. 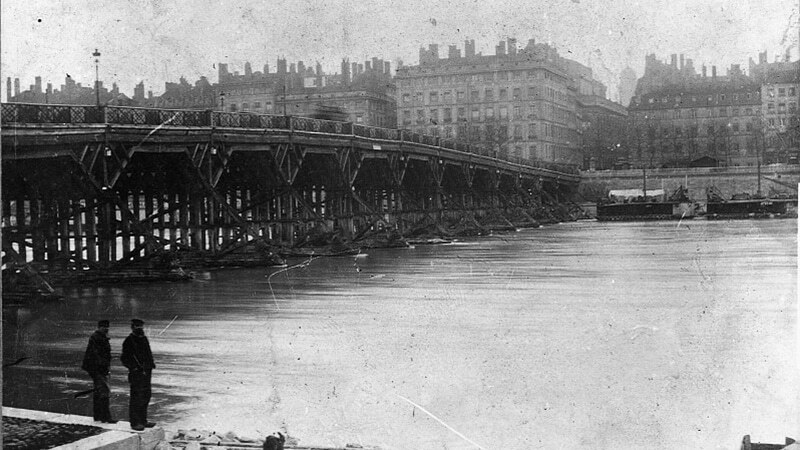 Some of the oldest bridges of Lyon span the Rhône river to reach the Presqu’île. Technically, the Pont Morand (1774) and the Pont Lafayette (1826) are respectively the second and third oldest bridges crossing the Rhône, with the Passerelle du Collège being built later in 1844. But they were all destroyed by war, floods or obsolescence at some point in history. The TCL subway network, through the line A, stops multiple times in the heart of the 6th arrondissement. The stations Foch and Masséna offer a perfect entry/exit door to residents for work or leisure in Presqu’île or Villeurbanne. 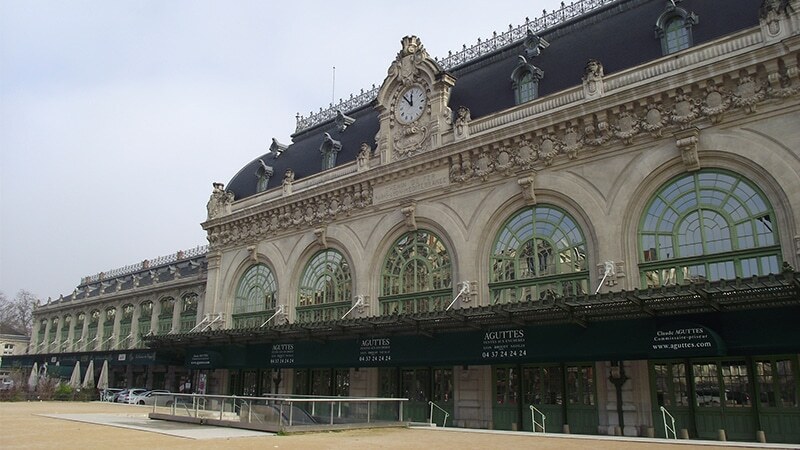 On the eastern edge of the arrondissement, the station of Charpennes is used as a transportation hub of the subway line B to reach the universities of La Doua or the Part-Dieu mall. The Brotteaux train station, closed in 1983 with the opening of the nearby Part-Dieu train station, only serves today as a subway station for the line B. Former flood plain area of the Rhône river, the 6th arrondissement came to life during the 18th century thanks to French architect and urban planner, Jean-Antoine Morand. He acquired 7 hectares of swamp in 1765 and started a plan to extend the overcrowded Presqu’île to the east. Jean-Antoine Morand reinvented the city of Lyon with his innovative rectangular grid street system. The first bridge over the Rhône, Pont Saint-Clair (then renamed Pont Morand), was opened in 1775. A hot-air balloon flew over the Brotteaux twice in 1784, with the Swedish king Gustave II in the attendance. However, the new neighborhood was the theater of revolutionary wars at the time of the French Revolution, known as the « Siège de Lyon ». Jean-Antoine Morand was beheaded in 1794 and most of the buildings were destroyed. The 6th arrondissement lived a new period of growth during the 1830s. The bourgeoisie and workers migrated across the Rhône to the town of La Guillotière, which englobed the 3rd, 6th and 7th neighborhood at the time. Roads were paved, Pont Lafayette was constructed in 1830 and the Eglise Saint-Pothin was opened in 1843. There were many entertainment activities in the neighborhood, most notably open-air balls, circuses and music concerts. But the destructive floods of 1856 marked a turning point of the neighborhood. Most of the farms and weak workers houses disappeared to let the Modern Art and Art Déco styles take over the district with the bourgeoisie. The Parc de la Tête d’Or, inaugurated in 1857, and the Brotteaux train station, opened in 1859 to link Lyon and Geneva, reflects this artistic evolution. The Lycée du Parc was later created in 1914 to teach the city’s elite. 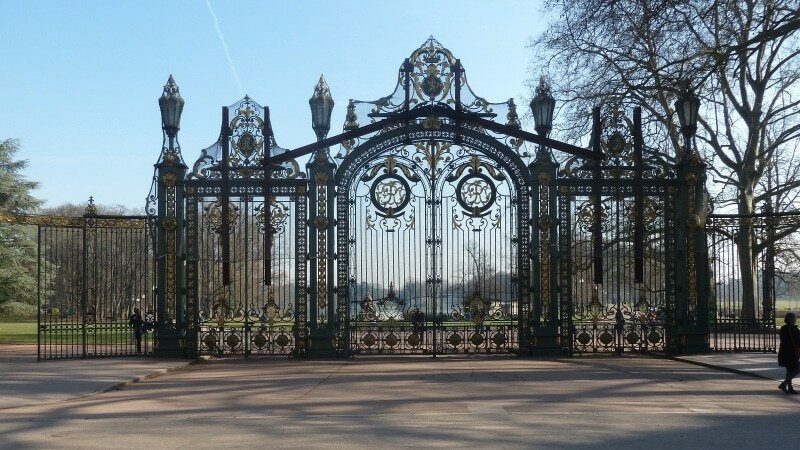 The Universal and International Exhibition was held inside The Parc de la Tête d’Or in 1894 and the concept of licence plate was launched in Lyon in 1900 for automobile vehicles crossing the park, due to chronic accidents. The Cité Internationale is the newest and most modern neighborhood of the 6th arrondissement, in place of the Fair of Lyon that elected home between the Rhône and the Parc de la Tête d’Or since 1916. Italian architect and engineer Renzo Piano earned the rights to design the site following an international competition. The Lyon Museum of Contemporary Art, known as « Musée d’art contemporain » or « MAC » for locals, was inaugurated in 1998 along with the first buildings of the 22-hectare site. The Congress Center, Interpol, Le Pharaon casino, foreign consulates, hotels and offices opened until the end of the construction in 2006. 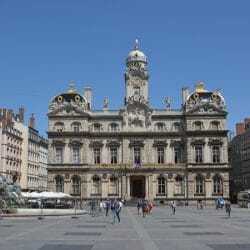 It has become the nerve center of international functions of Lyon. Where to live in the 6th district? The 6th arrondissement subdistricts near Parc de la Tête d’Or, Avenue Foch and Cours Vitton are the most expensive of the district (if not the city of Lyon) with prices averaging at 4,500-5,000€ per square meter. Mansions along the Parc de La Tête d’Or as well as large apartments near the major traffic arteries and the Rhône river are considered as the most prestigious and expensive buildings of Lyon. 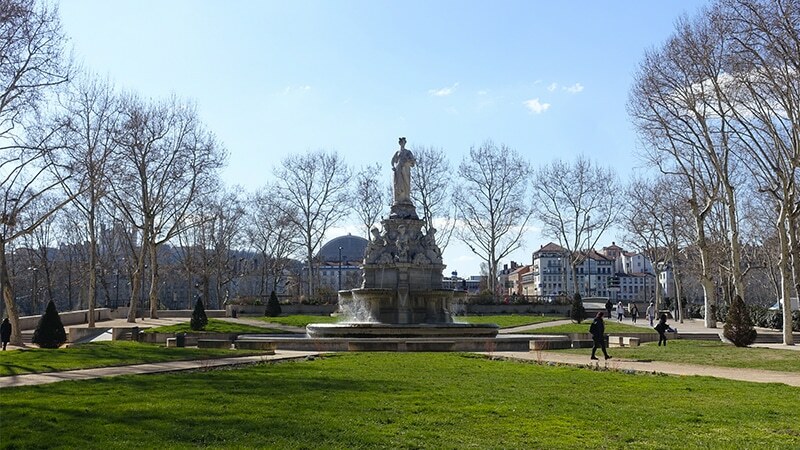 Apartments located near the Masséna subdistrict are closer to the market price of the Vieux-Lyon and some parts of the Presqu’île, costing an an average of 4,000-4,500€ per square meter. 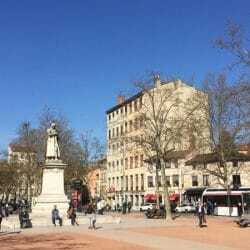 The Bellecombe subdistrict near Charpennes, situated between the Brotteaux train station and Villeurbanne, is more fitted for popular households and offers the cheapest apartments of the arrondissement, for under 4,000€ per square meter. What to see in the 6th district of Lyon? With the identity of a residential area, there are few things to see and visit in the 6th arrondissement but the Parc de la Tête d’Or. The largest French urban park is very famous to local residents for its running paths and cycling routes around the lake, on which boating takes place during the summer. It features four rose gardens, large greenhouses, botanical gardens and one of the biggest animal zoos in France containing over 130 different animal species. 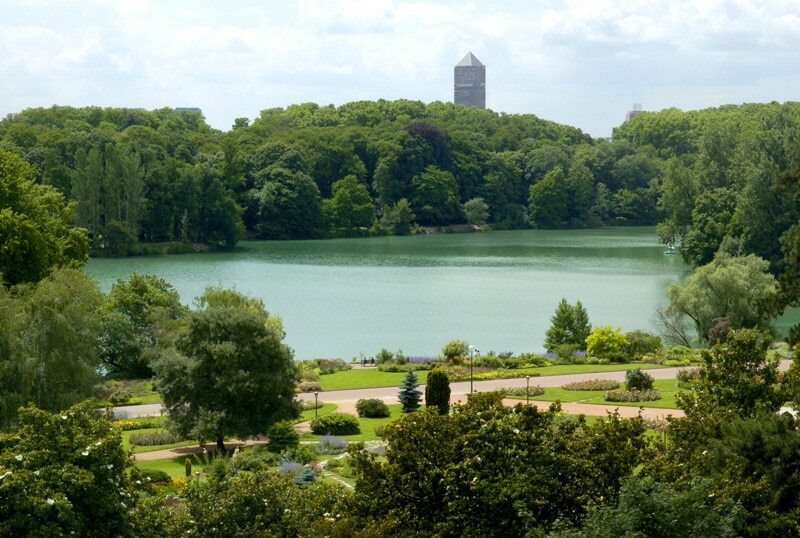 The Parc de la Tête d’Or features woods, botanical gardens and an animal zoo around the lake. The « Jardin Botanique de Lyon », established in 1857, is France’s largest municipal botanical garden with about 15,000 plants and hundreds of rose species that can be found in the famous rose gardens. Heritage of the urban project of Jean-Antoine Morand, the grid street system has come to life with dozens of squares that makes up some of Lyon’s most beautiful sights. The Place Maréchal Lyautey provides a great playground for families and children with many parts of grass and a large fountain. The nearby Place Puvis de Chavannes is located between the Redemption Church and the « Hôtel du Gouverneur », an old military residence opened once a year to visit. Skulls and bones of approximately 200 locals killed during the French Revolution are stored in the crypt of the Chapelle de la Sainte-Croix, or « Holy Cross Chapel », on Rue de Créqui. The monument commemorates the massacre of more than 2,000 locals by the French Army over six months in 1793 and 1794. What to do in the 6th district of Lyon? Five Michelin-stared restaurants have elected home in the 6th arrondissement. Pierre Orsi on Place Kléber and the Gourmet de Sèze in Rue de Sèze are elegant and traditional restaurants, while Maison Clovis along Boulevard des Brotteaux and Le Passe-Temps in Rue Tronchet happen to be more modern and creative restaurants. Miraflores, on Rue Garibaldi, offers gastronomic Peruvian food. Cheaper but nonetheless high-quality options exist near the Brotteaux train station. Le Splendid from Georges Blanc and l’Est, one of the four Paul Bocuse gastronomic brasseries, are both located on Place Jules Ferry, next to the old train station. Opened in 1995, the Lyon Museum of Contemporary Art offers nearly 3,000 square-meters of shiftable spaces on three floors that can be totally transformed from one exhibition to another. The museum welcomes a spectacular variety of temporary exhibitions all year long. The works of Andy Warhol, Keith Harring, Ben or Yoko Ono have been explored over the past years, in and outside the « MAC ». The 6th arrondissement is not the shopping nerve center of Lyon, but many shops are located along Cours Vitton and Cours Franklin Roosevelt, as well as Cours Lafayette on the edge of the 3rd district. Shopping centers, business districts, and access to the rest of the world. Daytime sightseeing and nighttime living. From the past to the future in Lyon 2. The fourth district and the plateau of the Croix Rousse is well-known for its traboules (passageways), market, artists and silk history.